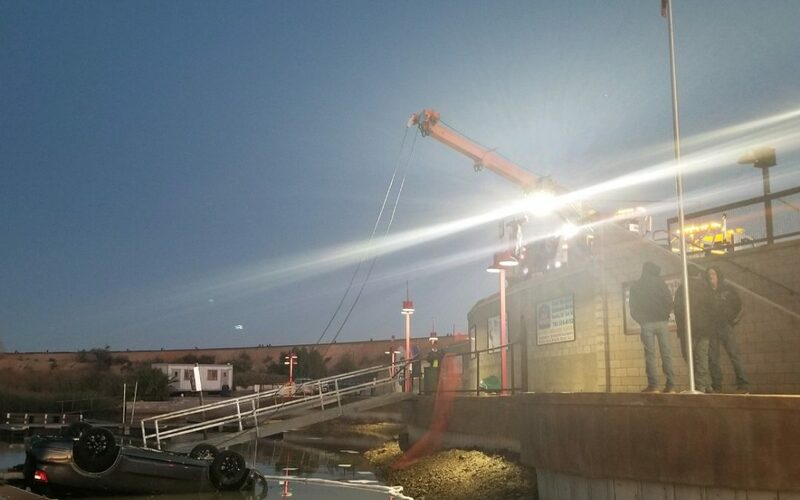 On Monday (2/11) at approximately 4:30 PM, the Mohave County Sheriff’s Office Communications Center took several 911 calls of a vehicle that drove into the water at the Topock 66 Restaurant and Marina in Topock. Upon deputy’s arrival, it was determined that the 68 year old female driver was attempting to park her vehicle in the parking lot. During this time, she pressed the gas instead of the brake, causing the vehicle to accelerate and crash through a concrete barrier. The car flipped, and landed upside down in the water below. A bystander saw this occur and was able to enter the flooded vehicle, cut the seat belt of the driver, and pull her to safety. There were no other occupants inside of the vehicle. The female suffered minor injuries, and was transported to a local hospital. Alcohol was not a factor in this crash.